"The basic idea Akhmadullina Dreams lies in the name - is the fulfillment of dreams about a beautiful dress, which can afford any woman - said Alena Ahmadullina. - For me as a designer it's not only a great challenge and a great responsibility , but also a very interesting new business opportunity. " According to the brand representative, a new line of "adapting key silhouettes and techniques of the first line brand, including maintaining one of the most recognizable pieces of DNA - the unique prints, which for the second lines are created in the same way: individually for each collection, originally by hand, and then digitized. " It is expected that the new line will be available four seasonal collections per year. Sizes of clothing - from 40 to 50 Russian size. It will be sold in the stores of the brand in large shopping centers. 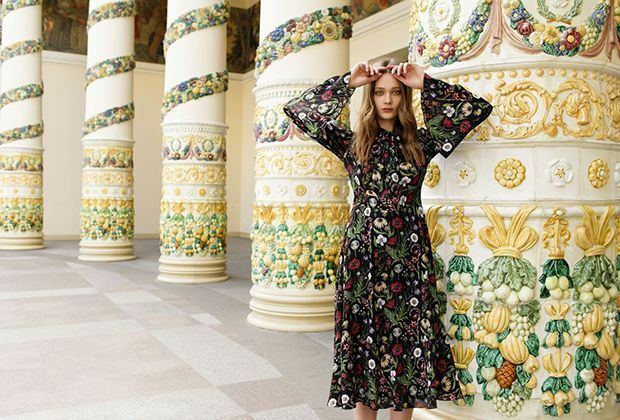 The first store Akhmadullina Dreams has opened in Moscow shopping center "Okhotny Ryad", the second will be opened on June 23 in "Atrium" shopping mall, opening the third is scheduled for August in the shopping center "Metropolis". HOW DID THE IDEA FOR AKHMADULLINA DREAMS COMEABOUT? I’ve for a long time wanted to create a line of beautiful designer clothes which any woman could afford. But for me this was more a dream than a real plan. At least, that was the case until I met Faberlic. Together, we’ve launched three joint collections of clothes in a democratic style. HOW DID YOU STRUCTURE THE WORKING PROCESS? 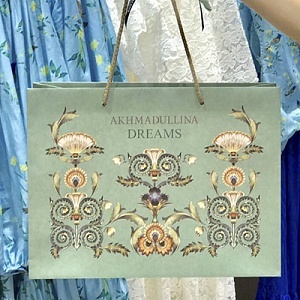 We have a separate team working on the Akhmadullina Dreams collections: designers, technologists, product managers, and logistics specialists. Each of them has experience of working in the mass-fashion segment. We make our collections at factories in South-Eastern Asia, where the textile industry is developing at a real pace. Today’s production technologies make it possible to create high-quality clothes at a reasonable price. The journey from sketches to hnal product takes about four months. All told, we release four collections a year. We have new deliveries arriving in the shops every month. YOUR CALLING CARD IS PRINTS AND EMBROIDERY. HOW ARE THESE CREATED? We do each drawing by hand. Then we convert the resulting sketch into digital format. The leitmotif of this season is fairytale animals and plants — which will be familiar to many people from the collections in our Alena Akhmadullina main line. WHAT IS YOUR AUTUMN-WINTER COLLECTION ABOUT? Alena Akhmadullina - Russian designer. In 2001, she created her own brand Alena Akhmadullina. The main motive of the collections - stories of folk and literary tales. Among celebreties who wear Alena Akhmadullina - Eva Green, Patricia Kaas, Naomi Campbell, Ksenia Sobchak, Zemfira, Ravshana Kurkova and other celebrities. Collaborated with Cirque du Soleil. In March 2017 Akhmadullina showed her collection autumn-winter 2017-2018, inspired by the tales of the Firebird and the Gray Wolf.